To order your Sell it! materials please fill out this form. If you have any questions please contact your sales consultant. 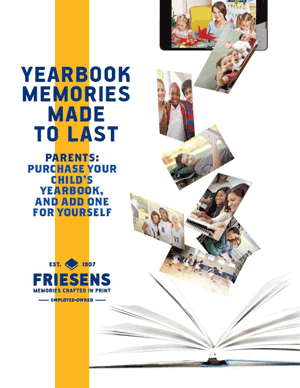 Please provide the price of your yearbook. 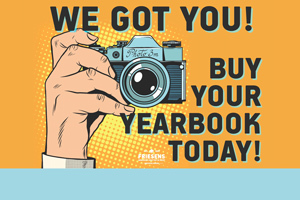 Please provide the last date to buy a yearbook at the above price. The following information will be added to the custom sales items. Please fill out correctly to ensure the students/parents receive clear instructions. Please specify "other" payment option. If providing an online payment option please provide the website address. If you are using Friesens store, this is optional. All digital items are FREE. Please upload 60 - 100 images for your custom video. If your images are too large, please use the FTP instructions that will be emailed to on completion of this form. 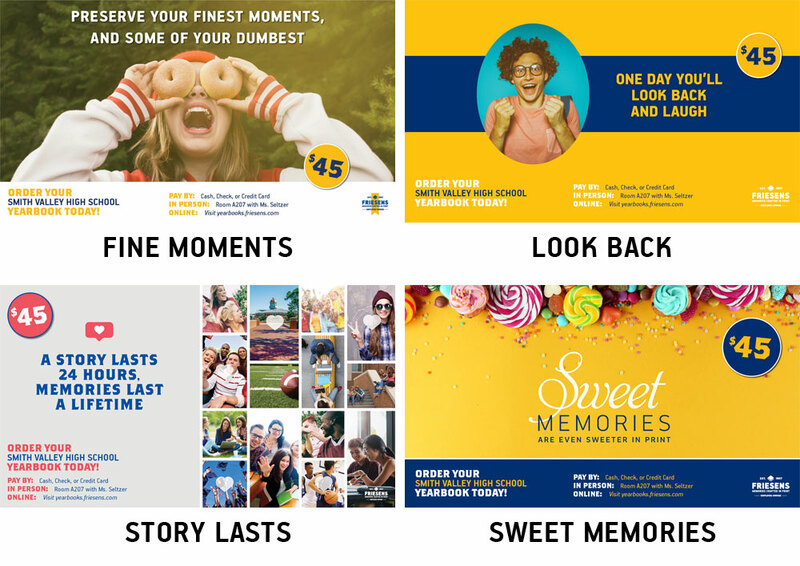 FREE - You will receive a selection of various posters. $15 EACH - The sign is 12 x 18 with a stand. We currently have one design. $100 EACH - Custom banner will include the cost of the book and where to buy it. If you would like to use your own design please upload it here. File must be designed to 7' x 2.5'. If your file is too large, please email it to your Friesens Sales Consultant. $150 EACH - Custom banner will include the cost of the book and where to buy it. If you would like to use your own design please upload it here. The file must be designed to 24" x 63" without bleeds. If your file is too large, please email it to your Friesens Sales Consultant. $100 for 10 posters. We will contact the supplied email address for photos. Yellow is the standard color. To customize your poster more, choose a different color from the drop down below. Custom color is $20 extra. Please upload 10-20 images for your custom poster. Your images must be high resolution images. If you have any special information related to your order please let us know here. Already included in yearbook quote.